Chill out sessions aimed at reducing busy workers’ potentially dangerous stress levels will be launched in Worcester next month. Hosted by Chris Green Media, Feelgood Fridays will offer a blissful blend of mindfulness, meditation, head and shoulder massage, crystal therapy and poetry workshops for both men and women. Healthy refreshments will also be provided. The Feelgood Fridays @CGM team: Maggie Doyle, Mandi Bishop, Vanessa Edmonds and Jennie Webster. 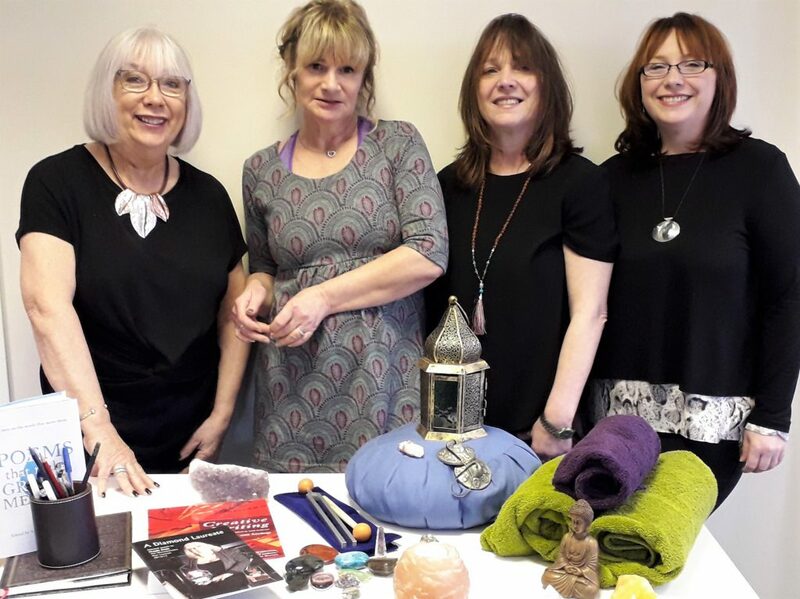 Worcestershire-based specialist practitioners including Jennie Webster and Vanessa Edmonds of The Zen Den in Stourport, experienced meditation teacher Mandi Bishop and the county’s poet laureate emeritus Maggie Doyle will deliver different elements of the two-hour event. Attendees can also shape their own bespoke wellbeing session. The first Feelgood Friday will be held at CGM Media Centre in Blackpole East, Worcester, on Friday, February 8 from 10am to noon. Each session costs £40 + VAT.